What to Gift a Garmin? Let us help you figure out which one! You’ve got to give a Garmin…but how do you know which one to give? Just like finding the right shoe it’s important to find the sport watch that is the perfect fit for each athlete. Between the Vivoactive 3, The Forerunner 645 and the Fenix 5 Plus Series, you can find a Garmin that’s your perfect fit. The Vívoactive 3 is the jack of all trades of the GPS watches. Perfect for the weekend warrior, it does a little bit of everything. With more than 15 preloaded sports apps, finding a fun way to stay active is easy. Hit the golf course, go for a bike ride, take a yoga class, or even try your hand at stand-up paddle boarding. 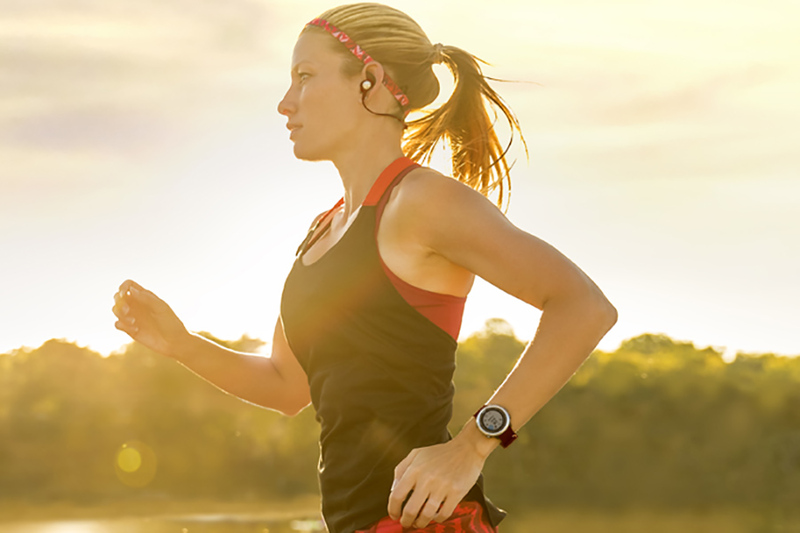 When you head outside, built-in GPS lets Vívoactive 3 track the details of your chosen activity. 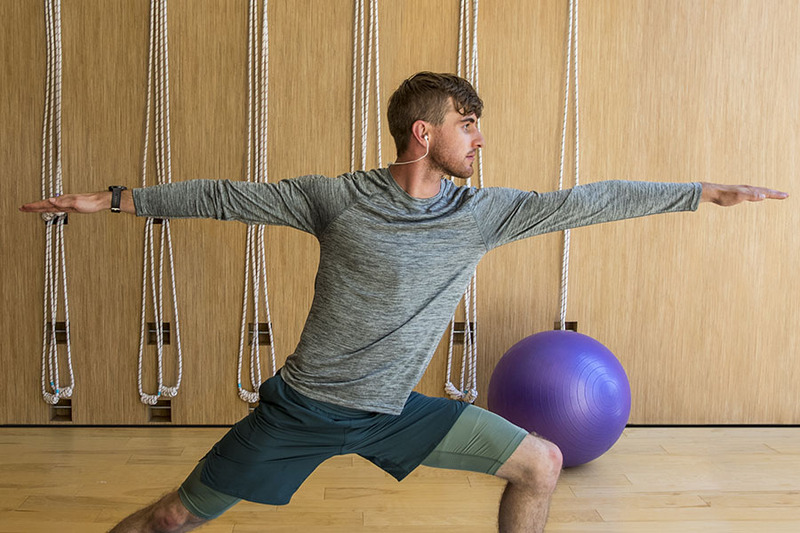 With help from Elevate™ wrist-based heart rate technology, Vívoactive 3 lets you monitor key aspects of your fitness and stress to show how your body responds under various circumstances. 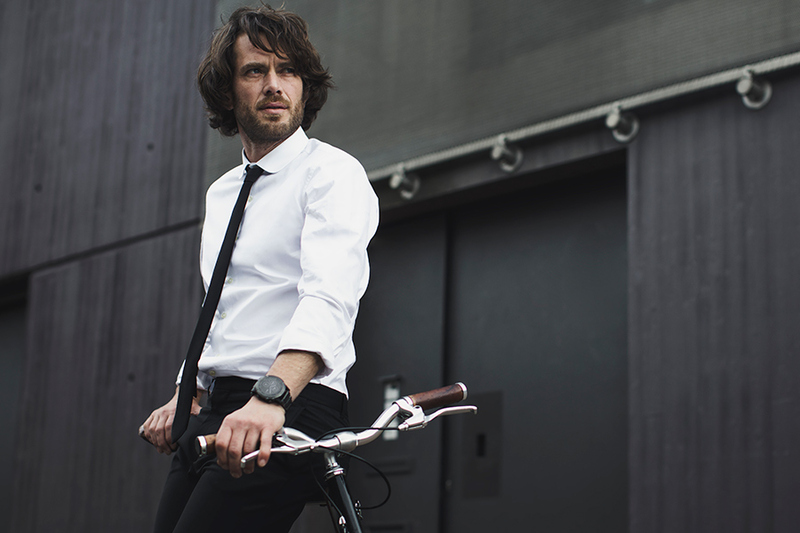 From playing sports to playing your favorite songs, Vívoactive 3 Music is the smartwatch for your active life. It features on-device music storage, so you can bring your tunes along for every workout. This sporty smartwatch has wrist-based heart rate estimates and more than 15 preloaded sports apps, so you can choose how you like to get fit. Built-in GPS lets you accurately record outdoor activities. The Vivoactive 3 does a little bit of everything and is a great watch to start with if you've never used an activity tracker. Forerunner 645 Music features on-device music storage — so you can run with your favorite tunes — and contactless payments that let you buy what you need without missing a beat. 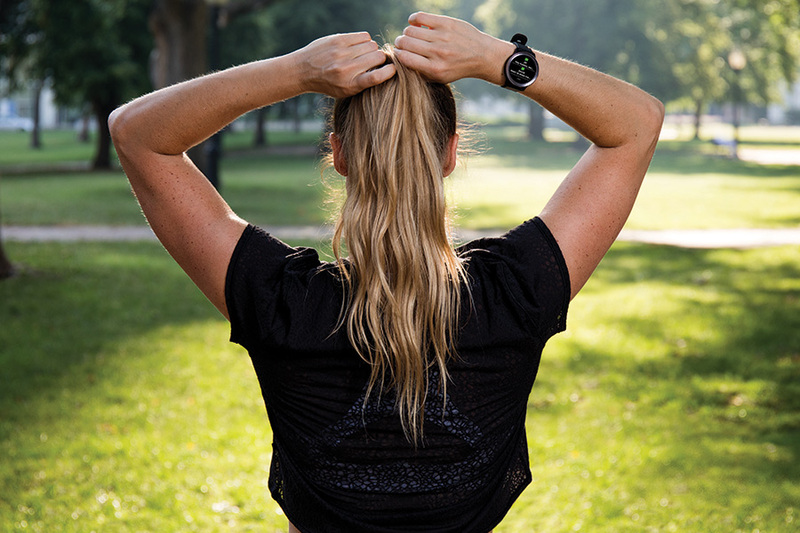 With all those features plus advanced running dynamics and performance monitoring tools, this GPS running watch has the features you need to beat yesterday. Designed for runners, Forerunner 645 Music features a reliable five-button interface that lets you mark laps with a quick press. Feel free to take this watch outside in all kinds of weather. Not only is it safe for swimming and showering, its Garmin Chroma Display™ is easy to read — even in direct sunlight. The Fenix 5 Plus Series has all the bells and whistles and delivers the most features of all the Garmin models. You get advanced features such as Elevate™ wrist heart rate technology, built-in activity profiles, performance metrics and training status readings that show the fitness-enhancing effects of your workout. Smart notifications help you stay in touch on the go. The Fenix 5S Plus is slightly smaller, so if the 5 is too much watch for your wrist, the 5S is for you. The Plus series has full color mapping on all models including points of interest and around me features. Storage for up to 500 songs and ability to stream to Bluetooth headphones help you take your music wherever you go to beat yesterday. The Ultimate Gift List for Male Runners “He’s making a list and checking it twice”. If you’ve got a runner on your nice list this year, no need to rack your brain for gift ideas. We’ve pulled together our top ten gifts for male runners to make your life easier! The Ultimate Gift List for Female Runners No need to sweat what to get the runner on your list, now you can save that sweat for a workout! We’ve pulled together our top ten gifts for female runners to make your life easier! Stocking Stuffers Fit for a Runner While everyone on your list might not dream of running gear and finish lines, we’ve got stocking stuffers every athlete will be sure to love.